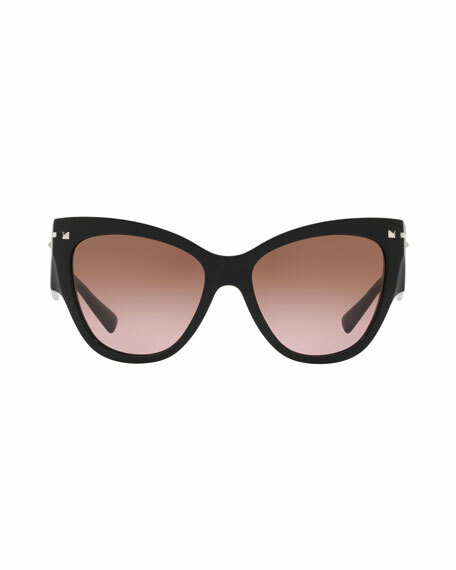 Valentino cat-eye sunglasses in acetate. Rockstud trim at frame front, temples, and ear tips. For in-store inquiries, use sku #2576183.